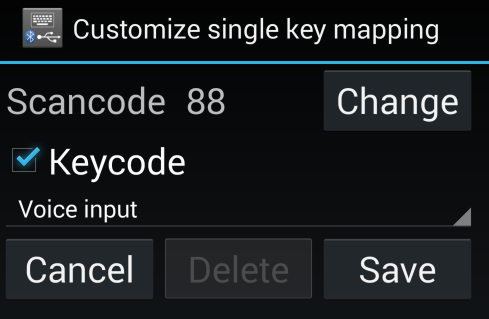 Can you please add a "switch to last app" keycode? I want to be able to switch between two apps simply by pressing the right alt key. Thanks! I'm 100% sure that it can be done but try Alt+Tab, it might be just what you are after. Can you please tell me how to add Alt+Tab to a single key? you have written a really good tool here. 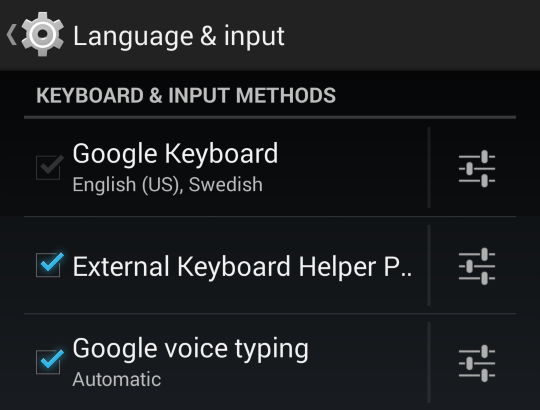 But unfortunately, on two Samsung devices (a S5 and a GALAXY Tab A) I face the problem that I want to use F12 to reliably enable the external voice recognition (Google voice input disabled) so that my handicapped mother can use her voice instead of a keyboard to write emails / messages etc. 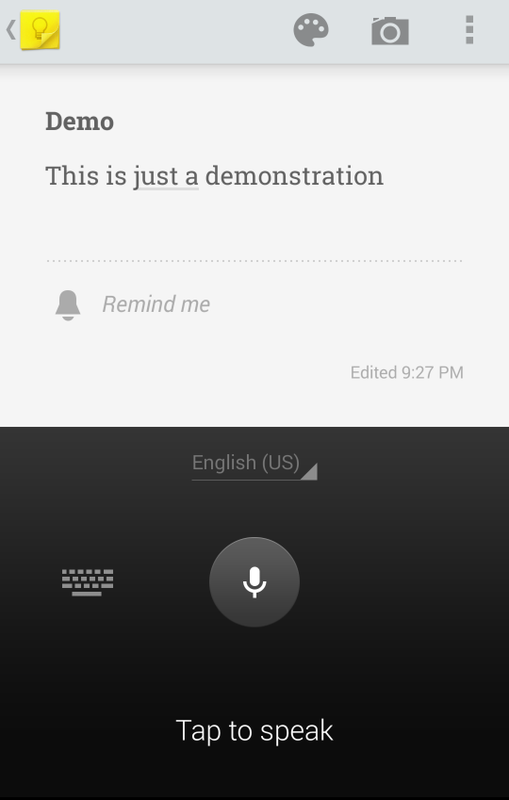 The enabling of the voice recognition works well, but often the written text returned from the voice recognition is not written to the focussed GUI element (such as a text field / memo field etc.). Instead, the text is buffered invisibly and written to the input element which receives the focus next (e.g. 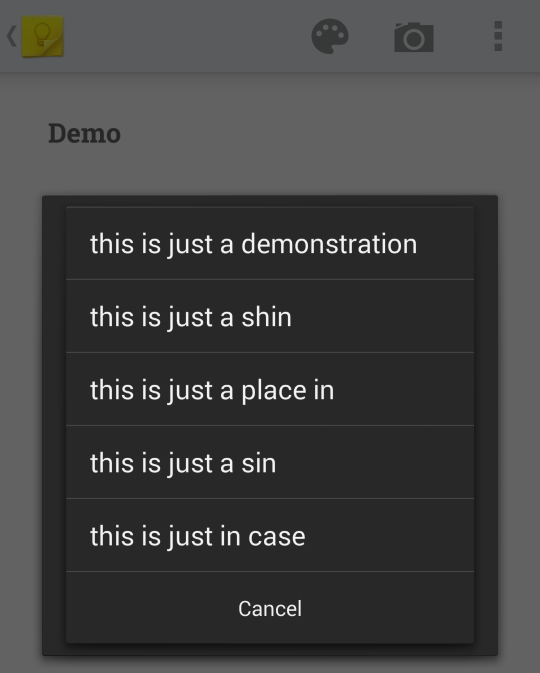 by clicking an input element with the touch screen). 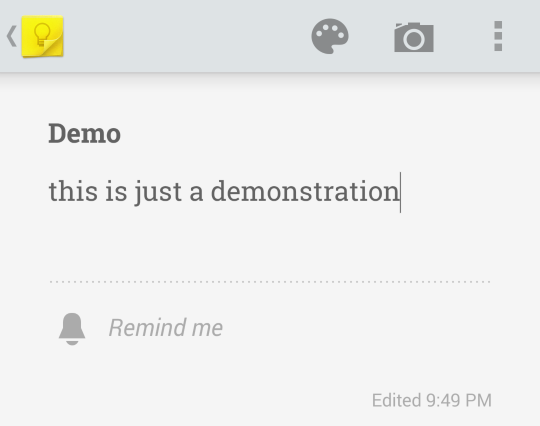 Sometimes this problem doesn't occur and the text goes directly into the input element. I couldn't find out what the conditions are which decide about whether the text immediately written to the currently focused input elemenet or whether it is buffered and written to the next element which gets the focus. As - due to her handicap - my mother cannot handle a mouse or the touch screen (only a few special bluetooth keyboard buttons TAB/Cursor/Enter/ESC which are used to move the GUI focus between elements and select/leave them plus F12 to enable the voice input), she can't use voice input reliably. Often, the dictated text just gets lost somewhere. This is a pity because the External Keyboard Helper is a really cool tool which would basically allow my mother to use the tablet despite their handicap, only with the few mentioned bluetooth keys. 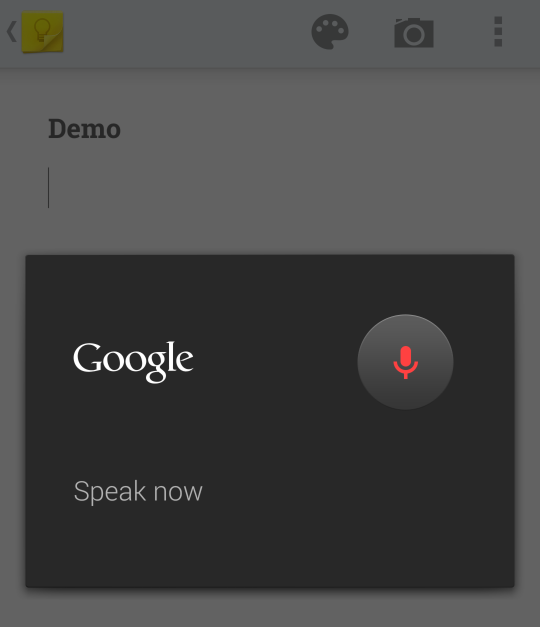 Can you help us here to solve the problem, so that the text from the voice input reliably gets filled into the current GUI element in focus (without the need to click it with the touch screen/mouse) ? We would be really happy ! 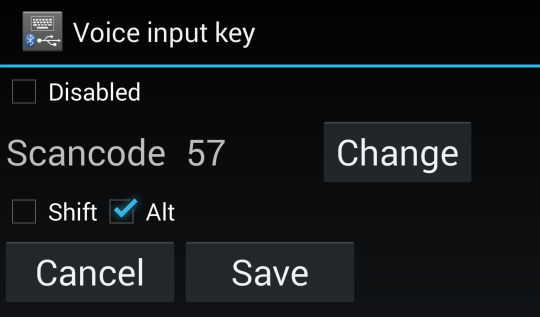 The setting described in the above image does not exist in Android 6x + any way to make voice input work in 6x android?